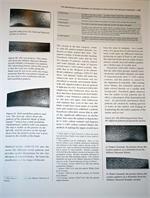 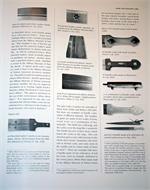 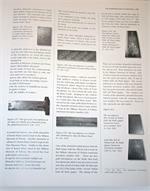 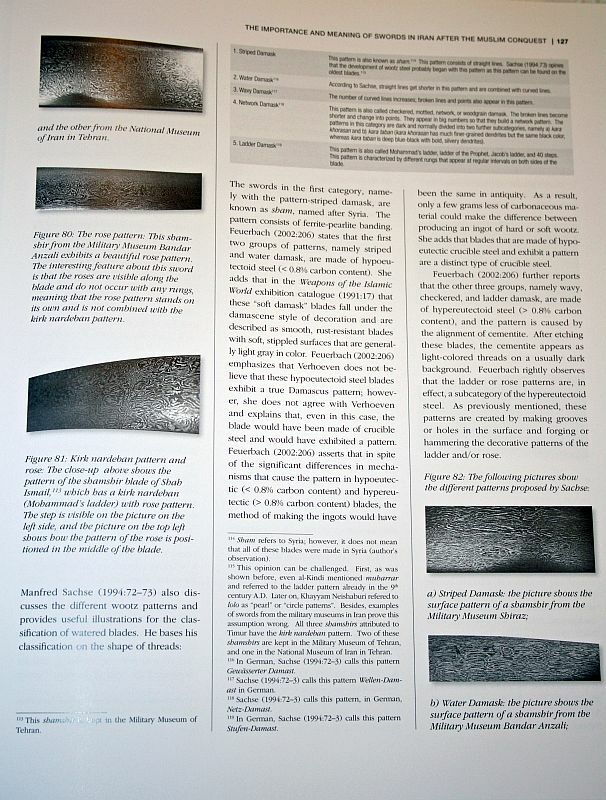 The result of over a decade of research, this massive (three inches thick and 9.6 lbs! 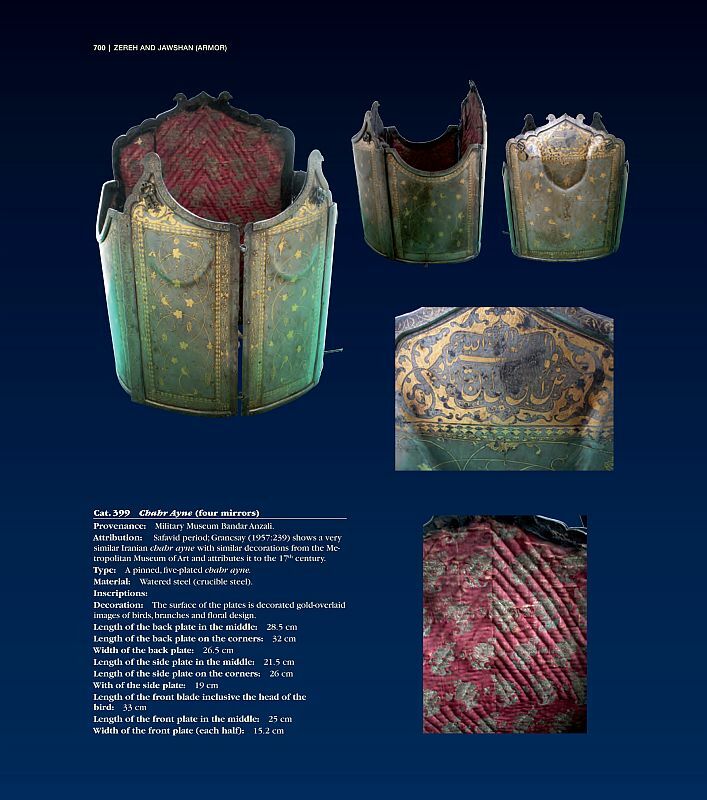 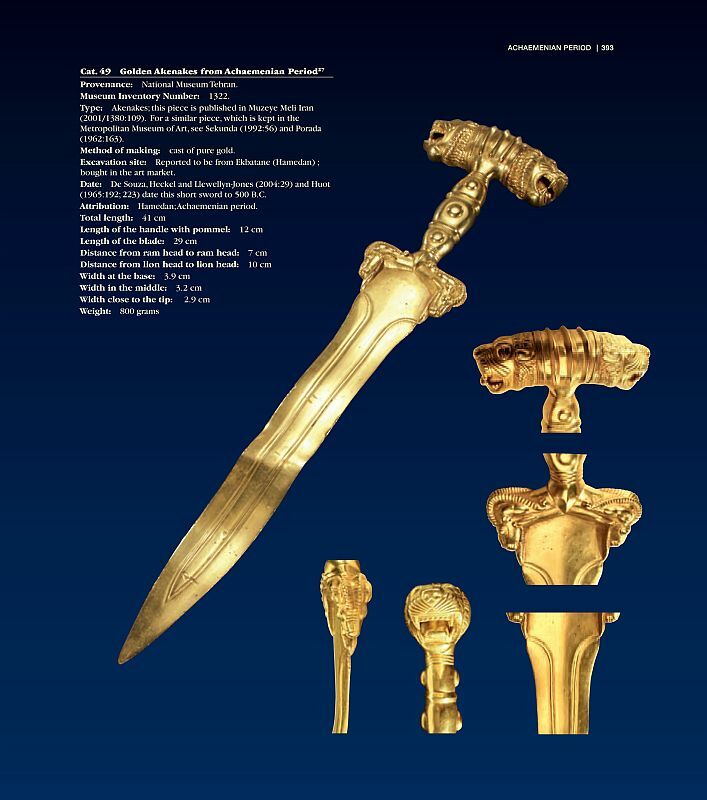 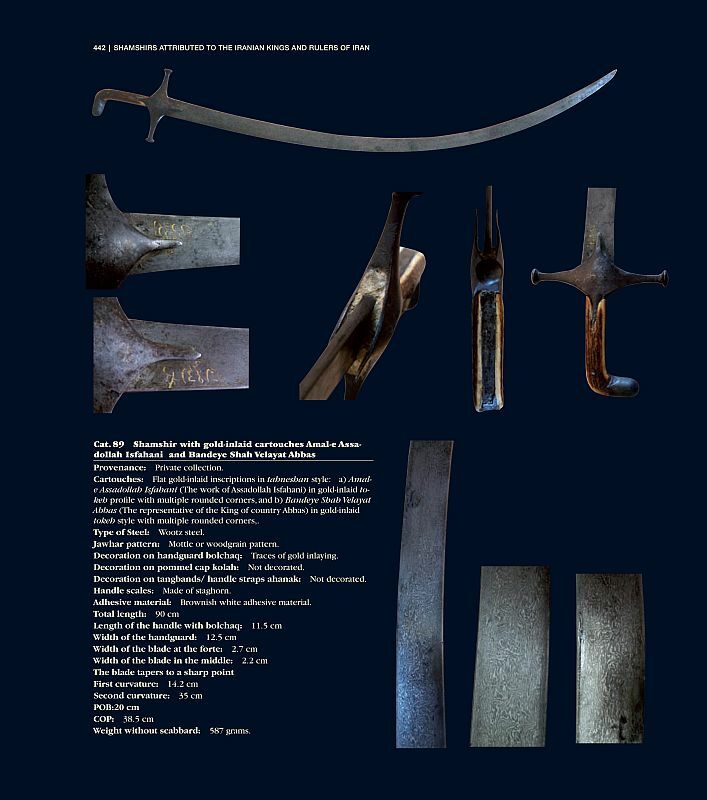 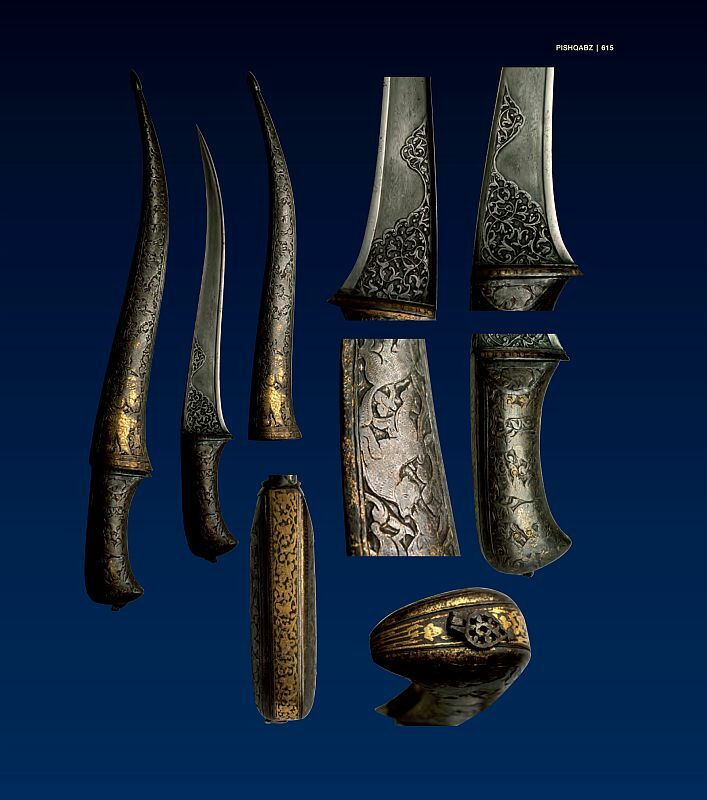 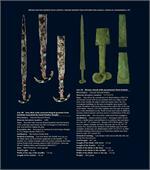 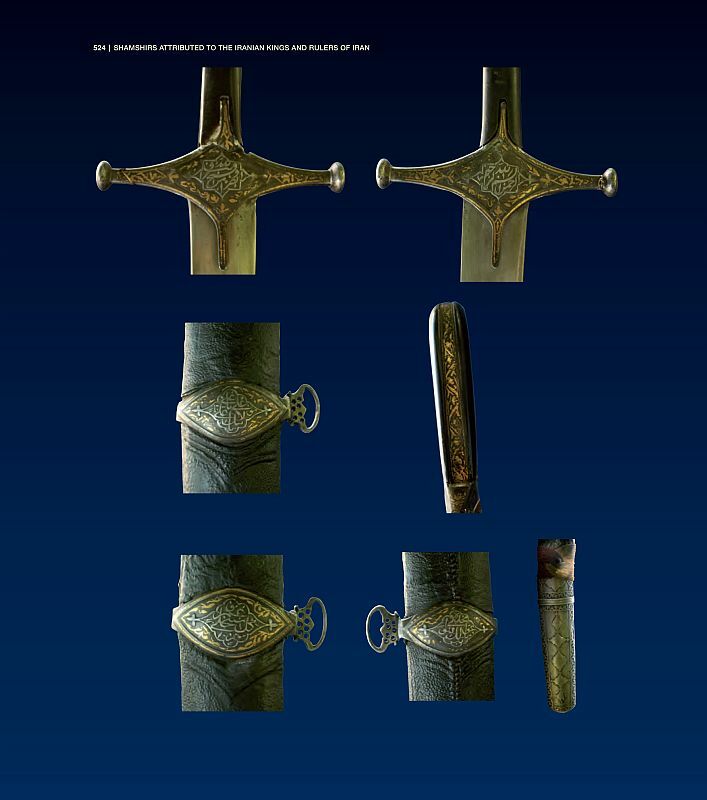 ), first-of-its-kind work encompasses not only the holdings of some 10 different museums but also private European and Iranian collections, to create an extensive, photographic catalogue and ethnographic analysis of Iranian arms and armour. 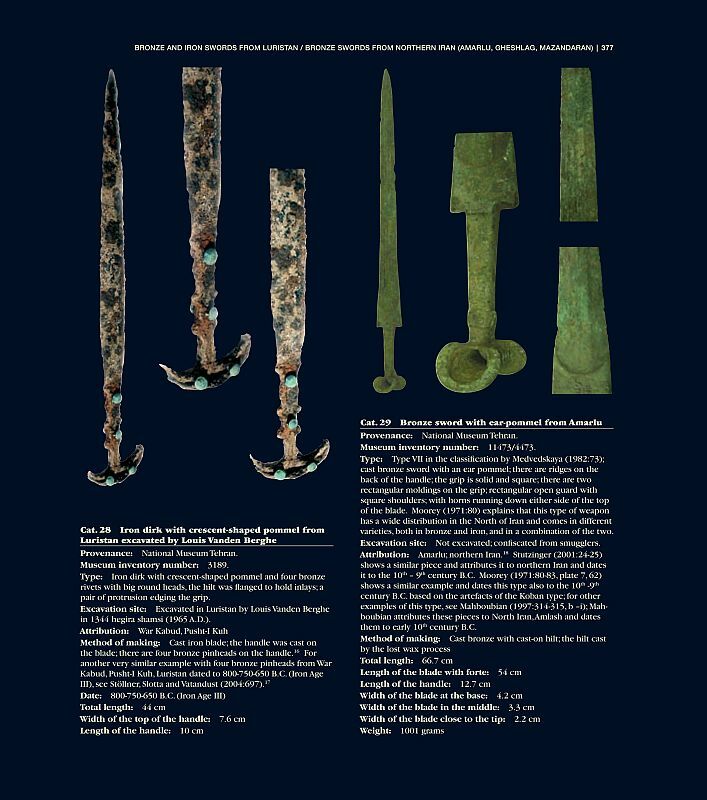 As colossal as the book itself is the historical scope it covers; analyzing pieces from the 3rd millennium BC to the end of the Qajar Period in the 20th century. 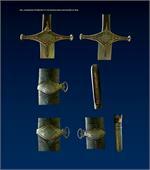 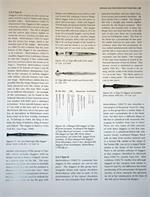 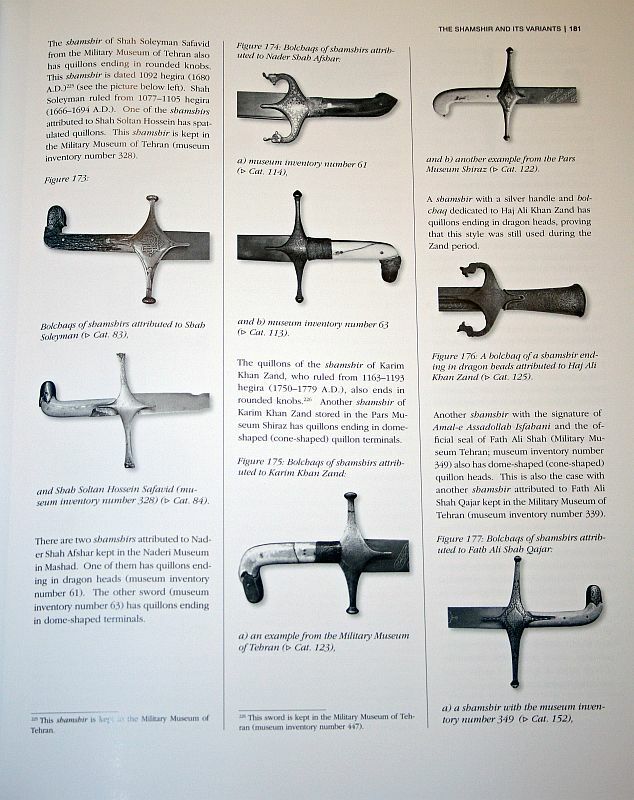 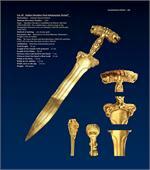 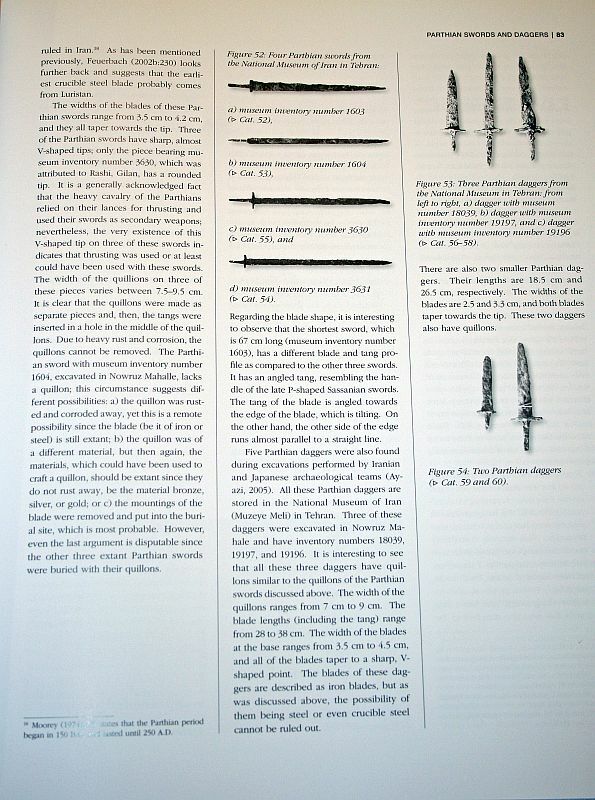 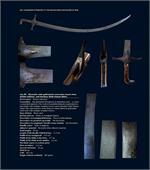 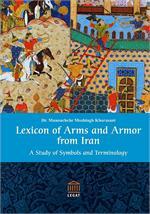 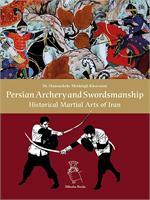 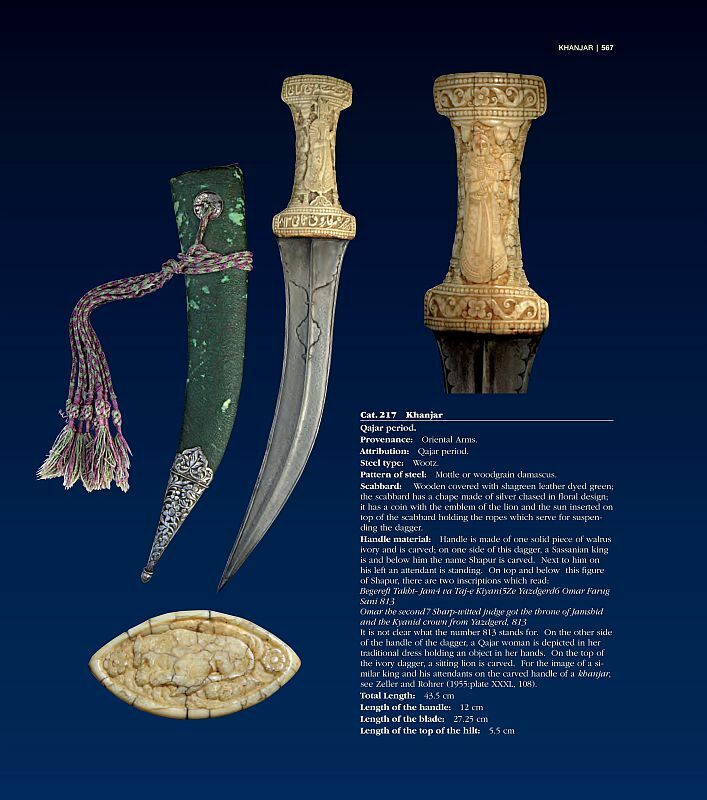 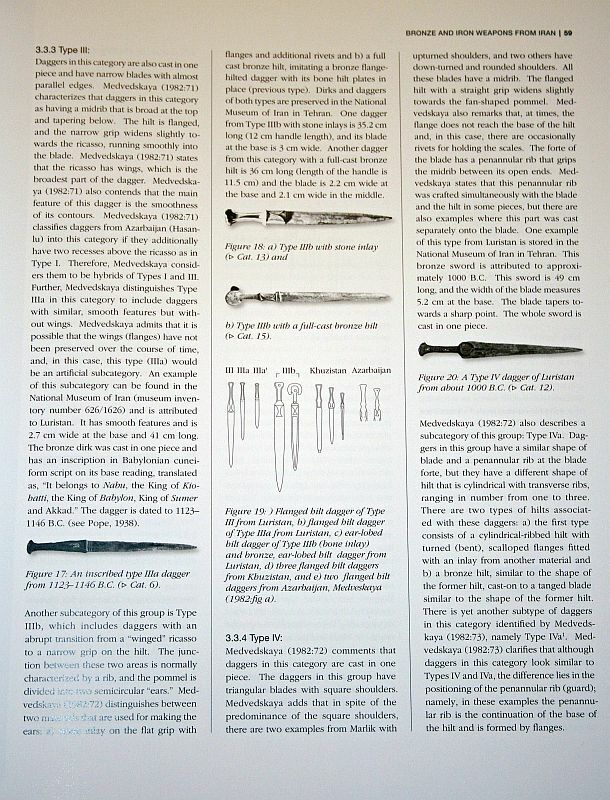 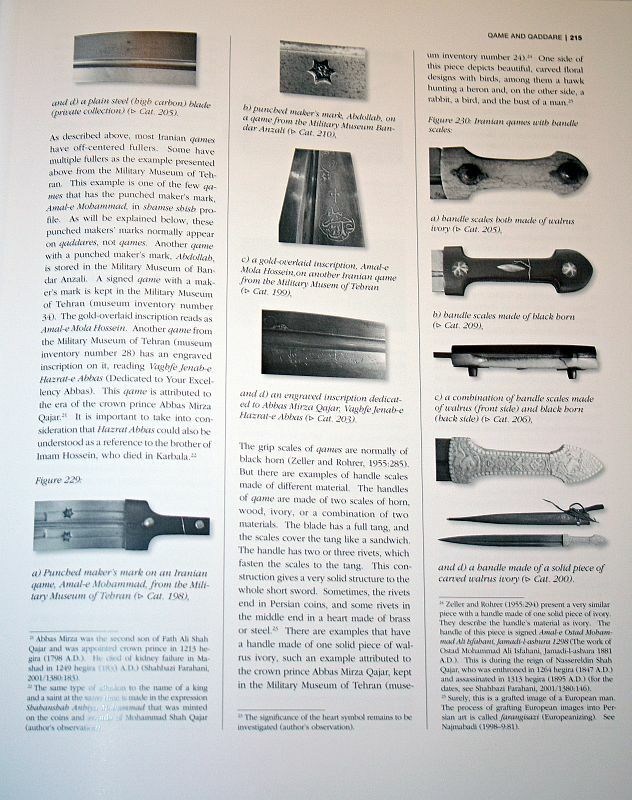 The first 371 pages provide the narrative history of Iranian weapons with copious references to the world’s most respected historical authorities, while the he second 373 pages, is a full-color catalog of the weapons themselves, including daggers, swords, spears, axes, shields, armour and mail, meticulously captioned, annotated and enumerated. 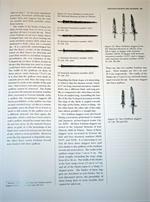 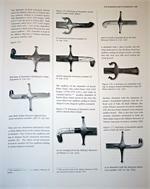 A detailed series of maps, line drawings and tables accompany the over 600 black-and-white images, 2,800 color images that bring Dr. Khorasani's opus to life, all printed on high-gloss paper, making Arms and Armor from Iran: The Bronze Age to the End of the Qajar Period both a piece of vital scholarship and a beautiful art book you will turn to time and time again.